And the trade is – tailoring/dressmaking. 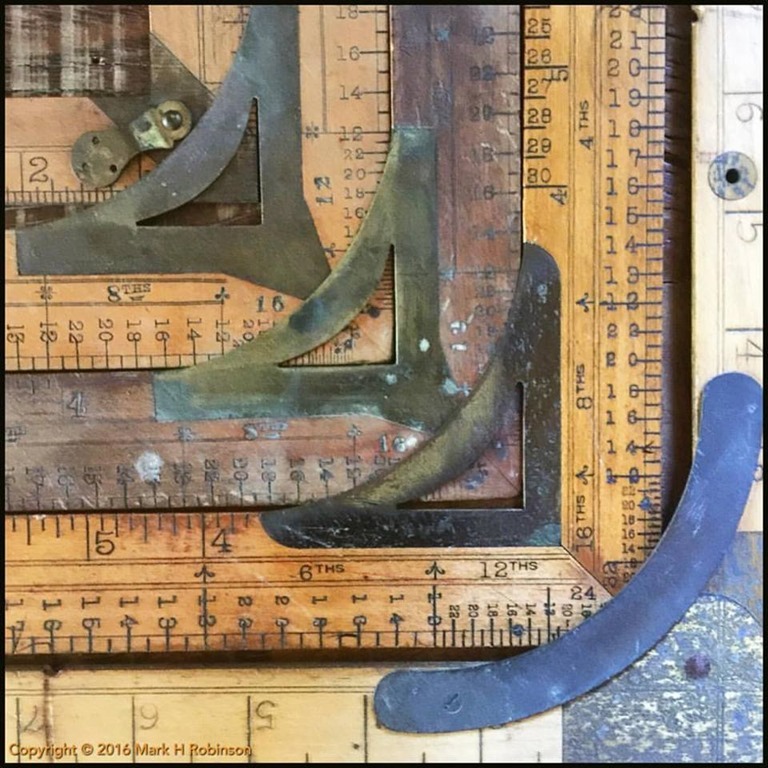 In the nineteenth century, successful tailors invented and patented systems of measurement and proportion that could be used by others to replicate their skills and cutting style. These systems were then heavily marketed, and for the most successful, entire trade schools sprang up around the country that licenses and used the systems. 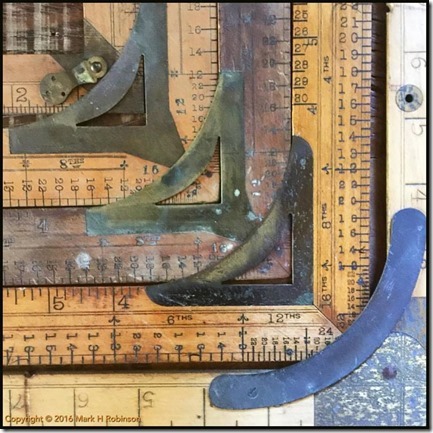 Alongside the manuals that came… with the systems, they also licensed and sold sets of measuring tools – the trade schools would require students to buy their own. There were several common forms to such tools, as well as dozens of more obscure forms. These are five examples of tailors squares, used in the layout of paper patterns (or sometimes directly on to fabric), from the 1880s to the 1920s. The three in the center are for evolutions of the same system, and the outer two are for other systems. These are made of wood, but not boxwood – mostly hard maple, because it is lighter and cheaper – reinforced with brass at the right-angle corner. Much of the marking is arcane, probably deliberately so – there’s no point in having a proprietary system if any Jack or Jill can just pick up the tools and figure it out! 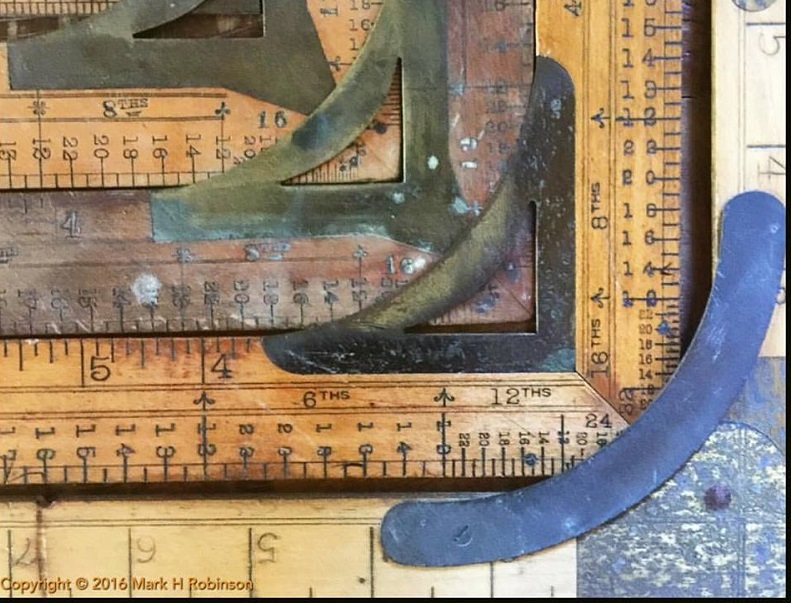 The outside square is interesting, it is hinged and the short leg folds flat against the longer leg. I assume this was for ease of transport by someone who travelled with it for work. Interestingly, bespoke tailoring is making a comeback, and tailors are again doing home and office visits, although pattern making (and often cutting) is computerized. ‪#‎toolsofthetrade‬ is an established hashtag with nearly ninety thousand posts – some of them outstanding. I stumbled across it on one of Dan @thedancherry’s posts, and it inspired me with the idea of doing an occasional series on trade-specific layouts.